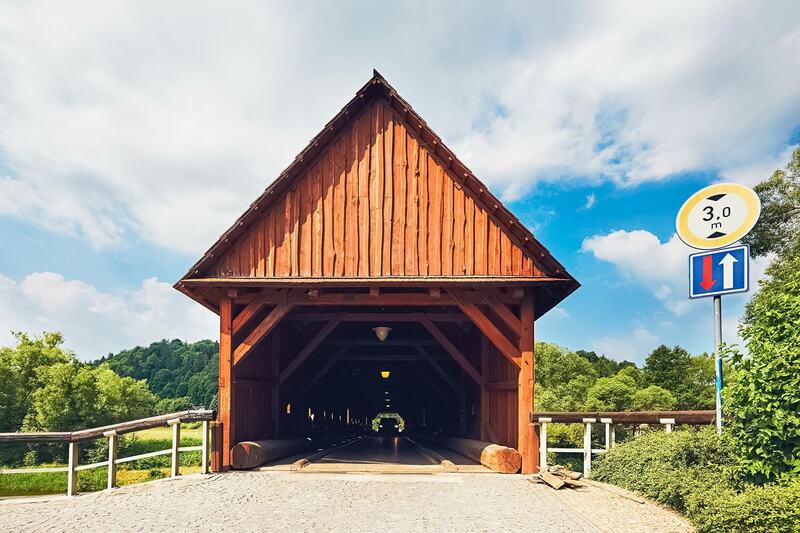 Radošov Bridge (Radošovský most) is a wooden covered bridge over the Ohře river in the village of Radošov, which belongs to Kyselka municipality. The Ohře is the same river which flows through the picturesque town of Loket and through Karlovy Vary. The bridge in Radošov is 62.5 m (205 ft) long and 5.75 m (18.9 ft) wide. 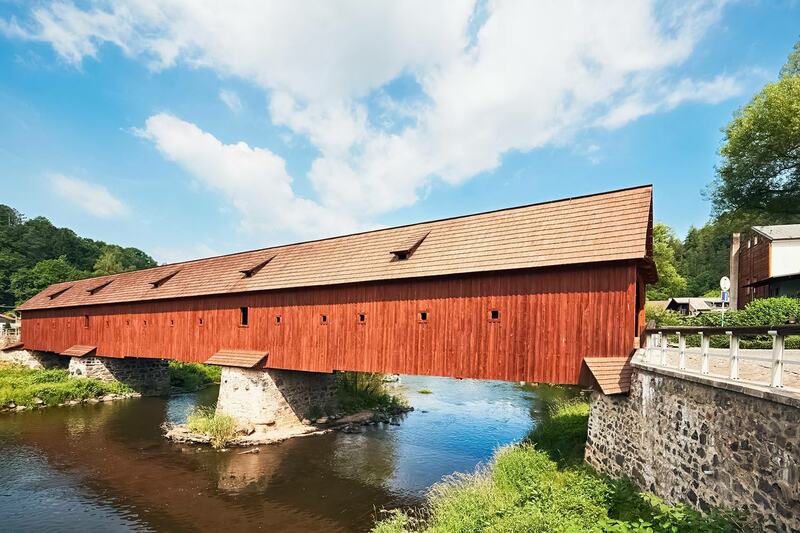 The bridge has been declared a cultural monument by the Czech state. 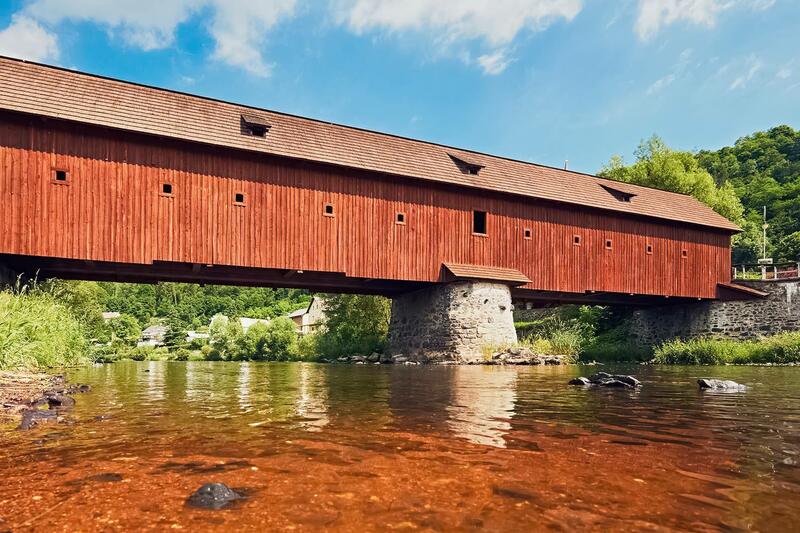 The first wooden bridge on that site was built probably in 1364. The stone pillars are from the 18th century. In 1986, a fire destroyed the bridge. It was rebuilt in 2003. In 2011, there was a flood in the region, but fortunately, it didn’t cause any serious damage to the bridge. If you don’t have a private car, bus line 421180 from Karlovy Vary stops at Kyselka/Radošov. The journey takes about half an hour, but the distance is only 16 km (10 mi). Therefore, it may be a good idea to rent a bike and to go there by bike instead.